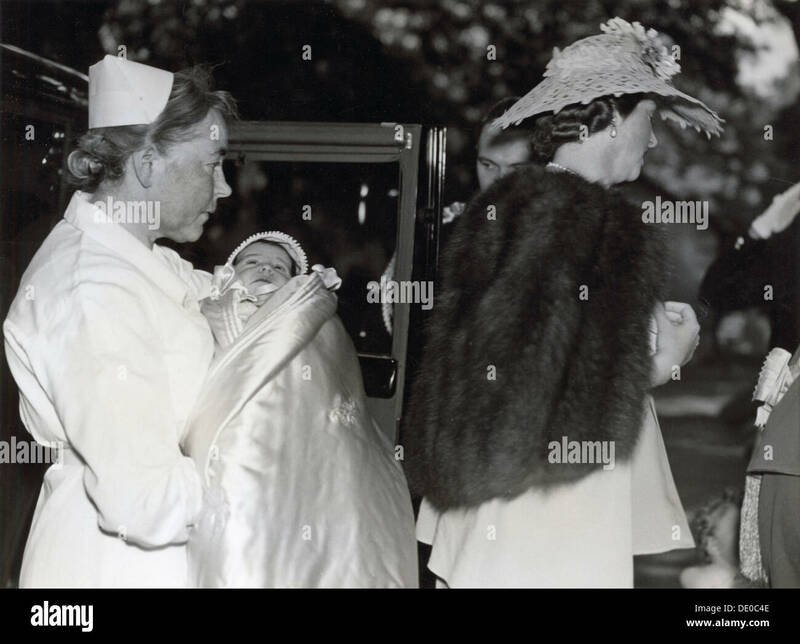 Christening of Princess Desiree of Sweden at the Church of Solna, Sweden, 30 June 1938. Princess Desiree (1938-), the third daughter of Prince Gustaf Adolf, Duke of Västerbotten and Princess Sibylla of Saxe-Coburg and Gotha. Christening of Princess Desiree of Sweden at the Church of Solna, Sweden, 30 June 1938. 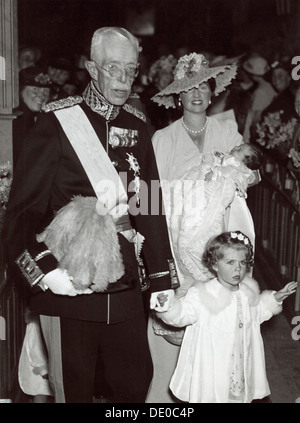 Princess Sibylla (1908-1972), the wife of Prince Gustaf Adolf, Duke of Västerbotten, carrying their third daughter, Princess Desiree (1938-), accompanied by their eldest daughter, Princess Margaretha (1934-), and King Gustaf V (1858-1950).